Abstract: The paper presents a geometric calibration method based on the sparse ground control points (GCPs), aiming to the linear push-broom optical satellite. This method can achieve the optimal estimate of internal and external parameters with two overlapped image pair along the charge-coupled device (CCD), and sparse GCPs in the image region, further get rid of the dependence on the expensive calibration site data. With the calibrated parameters, the line of sight (LOS) of all CCD detectors can be recovered. This paper firstly establishes the rigorous imaging model of linear push-broom optical satellite based on its imaging mechanism. And then the calibration model is constructed by improving the internal sensor model with viewing-angle model after an analysis on systematic errors existing in the imaging model is performed. A step-wise solution is applied aiming to the optimal estimate of external and internal parameters. At last, we conduct a set of experiments on ZY-3 NAD camera, and verify the accuracy and effectiveness of the presented method by comparison. BOUILLON A, BERNARD M, GIGORD P, et al. SPOT5 HRS geometric performances:using block adjustment as a key issue to improve quality of DEM generation[J]. ISPRS Journal of Photogrammetry & Remote Sensing, 2006, 60(3): 134–146. DIAL G. IKONOS satellite mapping accuracy[C]//Proceedings of ASPRS. Washington DC: Springer, 2000. 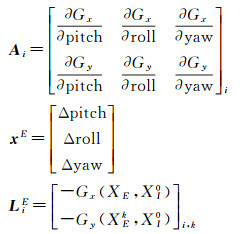 GRODECKI J, LUTES J. IKONOS geometric calibrations[C]//Proceedings of the ASPRS 2005 Annual Conference. Baltimore, Maryland: Springer, 2005. 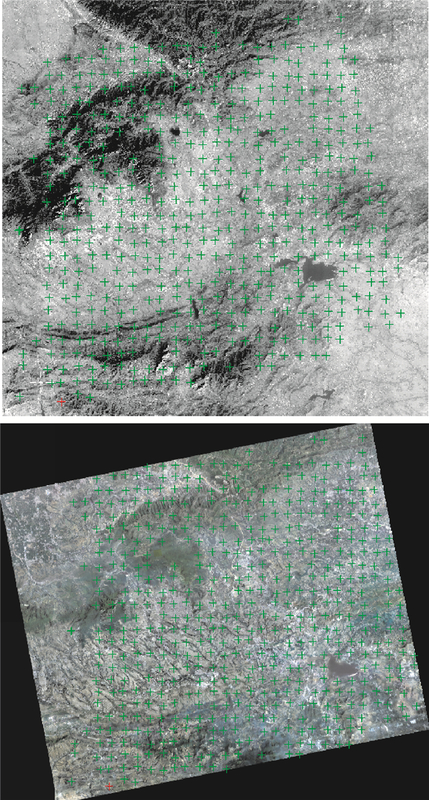 FRASER C S, HANLEY H B, YAMAKAWA T. High-precision geopositioning from IKONOS satellite imagery[C]//Proceedings of ASCM-APSRS Annual Convention. Washington DC: Springer, 2002. GRODECKI J, DIAL G. IKONOS geometric accuracy[C]//Proceedings of Joint Workshop of ISPRS Working Groups Ⅰ/2, Ⅰ/5 and Ⅳ/7 on High Resolution Mapping from Space 2001. Hannover, Germany: University of Hannover: Elsevier, 2001. MULAWA D. On-orbit geometric calibration of the OrbView-3 high resolution imaging satellite[C]//ISPRS XXth Congress Proceedings. Istanbul: The International Archives of the Photogrammetry, Remote Sensing and Spatial Information Sciences: Elsevier, 2004. 杨博, 王密. 资源一号02C卫星全色相机在轨几何定标方法[J]. 遥感学报, 2013, 17(5): 1175–1190. YANG Bo, WANG Mi. On-orbit geometric calibration method of ZY-102C panchromatic camera[J]. Journal of Remote Sensing, 2013, 17(5): 1175–1190. 李德仁. 我国第一颗民用三线阵立体测图卫星-资源三号测绘卫星[J]. 测绘学报, 2012, 41(3): 317–322. LI Deren. 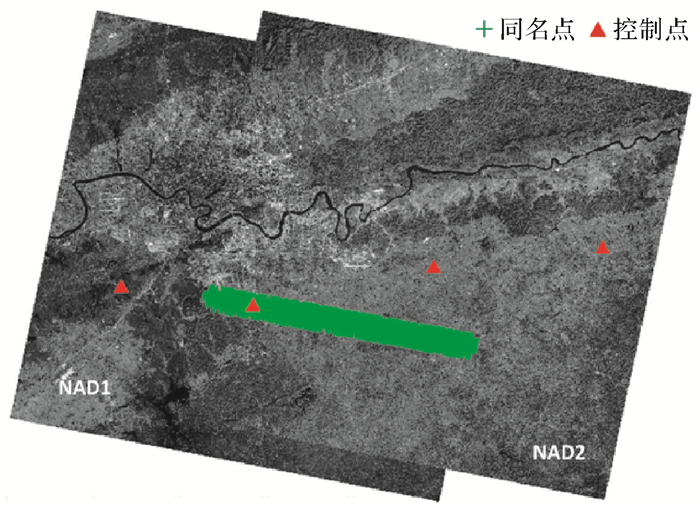 China's first civilian three-line-array stereo mapping satellite:ZY-3[J]. Acta Geodaetica et Cartographica Sinica, 2012, 41(3): 317–322. 龚健雅, 王密, 杨博. 高分辨率光学卫星遥感影像高精度无地面控制精确处理的理论与方法[J]. 测绘学报, 2017, 46(10): 1255–1261. 曹金山, 袁修孝, 龚健雅, 等. 资源三号卫星成像在轨几何定标的探元指向角法[J]. 测绘学报, 2014, 43(10): 1039–1045. TAKAKU J, TADONO T. PRISM On-orbit geometric calibration and DSM performance[J]. IEEE Transactions on Geoscience & Remote Sensing, 2009, 47(12): 4060–4073. 孟伟灿, 朱述龙, 曹闻, 等. 线阵推扫式相机高精度在轨几何标定[J]. 武汉大学学报(信息科学版), 2015, 40(10): 1392–1399, 1413. MENG Weican, ZHU Shulong, CAO Wen, et al. High accuracy on-orbit geometric calibration of linear push-broom cameras[J]. 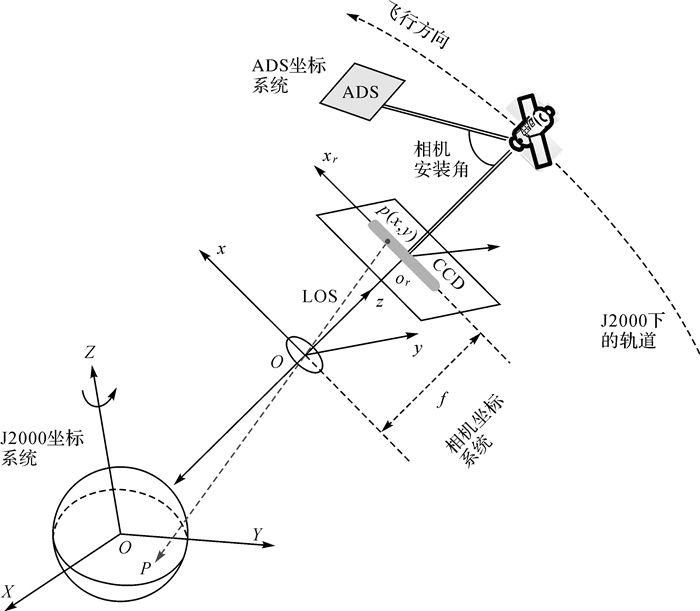 Geomatics & Information Science of Wuhan University, 2015, 40(10): 1392–1399, 1413. CRESPI M, COLOSIMO G, DE VENDICTIS L, et al. GeoEye-1: Analysis of radiometric and geometric capability[C]//Personal Satellite Services. PSATS 2010. Lecture Notes of the Institute for Computer Sciences, Social Informatics and Telecommunications Engineering, vol. 43. Berlin, Heidelberg: Springer, 2010: 354-369. 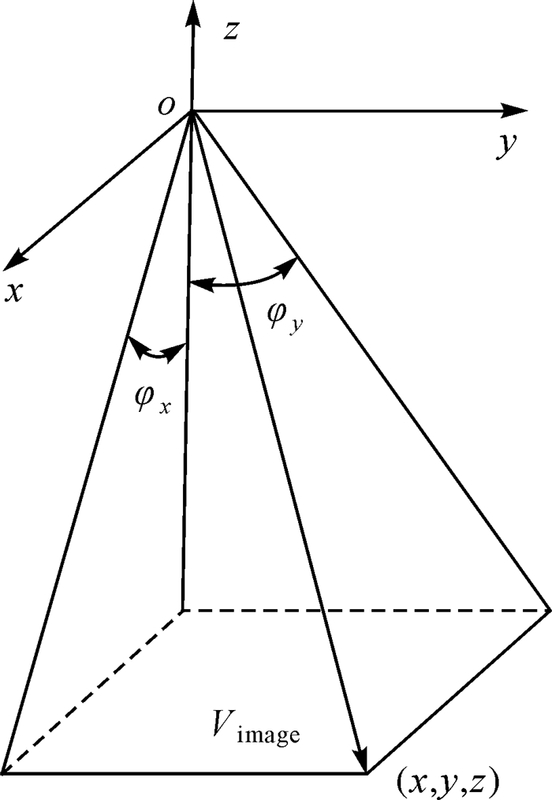 GRUEN A, KOCAMAN S, WOLFF K. Calibration and validation of early ALOS/PRISM imagery[J]. Journal of the Japan Society of Photogrammetry & Remote Sensing, 2007(46): 24–38. PI Yingdong, YANG Bo, WANG Mi, et al. On-orbit geometric calibration using a cross-image pair for the linear sensor aboard the agile optical satellite[J]. IEEE Geoscience & Remote Sensing Letters, 2017, 14(7): 1176–1180. WANG Mi, CHENG Yufeng, CHANG Xueli, et al. On-orbit geometric calibration and geometric quality assessment for the high-resolution geostationary optical satellite GaoFen4[J]. ISPRS Journal of Photogrammetry & Remote Sensing, 2017(125): 63–77. YANG Bo, WANG Mi, XU Wen, et al. Large-scale block adjustment without use of ground control points based on the compensation of geometric calibration for ZY-3 images[J]. ISPRS Journal of Photogrammetry & Remote Sensing, 2017(134): 1–14. YANG Bo, PI Yingdong, LI Xin, et al. Relative geometric refinement of patch images without use of ground control points for the geostationary optical satellite GaoFen4[J]. IEEE Transactions on Geoscience & Remote Sensing, 2018, 56(1): 474–484. 王密, 杨博, 金淑英. 一种利用物方定位一致性的多光谱卫星影像自动精确配准方法[J]. 武汉大学学报(信息科学版), 2013, 38(7): 765–769. WANG Mi, YANG Bo, JIN Shuying. A registration method based on object-space positioning consistency for satellite multi-spectral Image[J]. 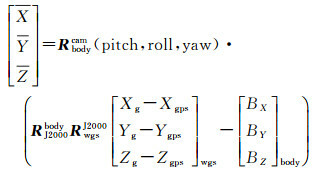 Geomatics and Information Science of Wuhan University, 2013, 38(7): 765–769. 曹海翊, 刘希刚, 李少辉, 等. "资源三号"卫星遥感技术[J]. 航天返回与遥感, 2012, 33(3): 7–16.